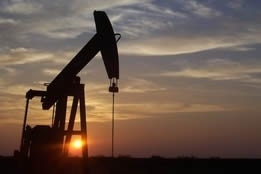 An unexpected 200,000 barrel per day (bpd) drop in oil output in July for Saudi Arabia caused crude futures to rise on Monday – and was accompanied by a wave of renewed fears that prices will spiral upward due to geopolitical tensions. Stewart Glickman, an energy equity analyst at CFRA Research, noted that, "Prices had dropped recently assuming that Saudi was going to continue to produce; if the argument now is that maybe they can't produce as much as everyone was hoping for, that puts some upward pressure on prices." U.S. investment bank Jefferies contributed to the analytical concerns by stating in a note that, "the Saudi and Russian production surges appear to be more limited" than expected. Of course, the Saudis were just the tip of the iceberg in terms of factors compelling experts on Monday to foresee gloomy times ahead: worry over the U.S. sanctions against Iran seemed to reach a fever pitch, with Michele Della Vigna, head of energy industry research at Goldman Sachs International, telling Bloomberg, "We are eating very quickly through OPEC's spare capacity… we are going into a very, very tight oil market." Della Vigna went on to cite declining production from Venezuela and unpredictable output from Libya as evidence that "there's no doubt we're heading into a slowing period of supply growth…. there is a substantial risk to supply." Looking ahead to 2020-21, Della Vigna worried that the impacts of the slowing pace of new projects will start to be felt, and U.S. shale will begin to decline; however, he said now is a perfect opportunity for "big oil" firms to negotiate better tax terms with governments and "do more activity – that doesn't necessarily mean more money." The heightened fear of a looming supply shock prompted Amrita Sen, chief oil analyst at Energy Aspects, to tell CNBC, "As we go more towards (the fourth quarter) … that's when we really see the risk of prices going well into the $80s and potentially even into the $90s, but very critical is how much Iranian production we lose. "A lot of people think China can just buy all of the Iranian oil, but they came out and said 'Yes, we may not reduce but we are not going to increase our intake either'; so, you could see a significant crunch in terms of lost supplies into the market and then that obviously means higher prices." Sen added that Iranian production falling by 1.5 million bpd by year end could wind up being a conservative figure, and Bank of American Merrill Lynch pointed out in a research note that "for every 1 million bpd imbalance, we see a price impact on Brent of around $17."